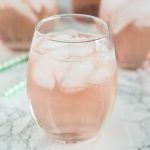 Holiday Wine Spritzer Recipe – a fun cocktail that you can serve at all your holiday get togethers! 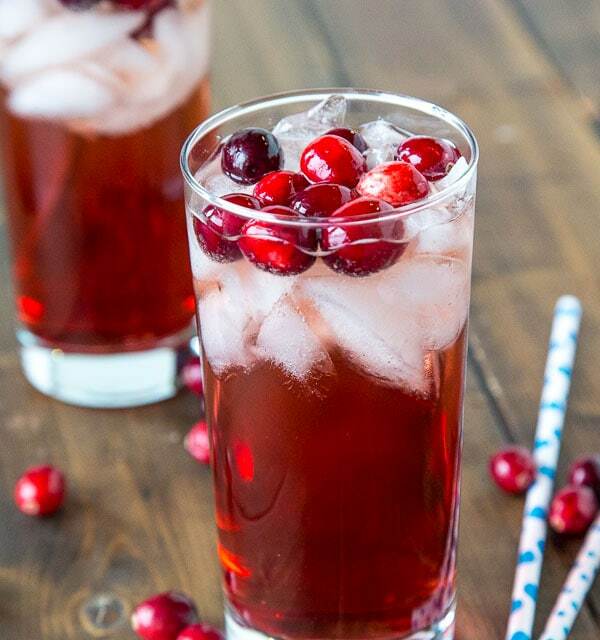 Wine, ginger ale, cranberry juice and cranberries make it festive and delicious! 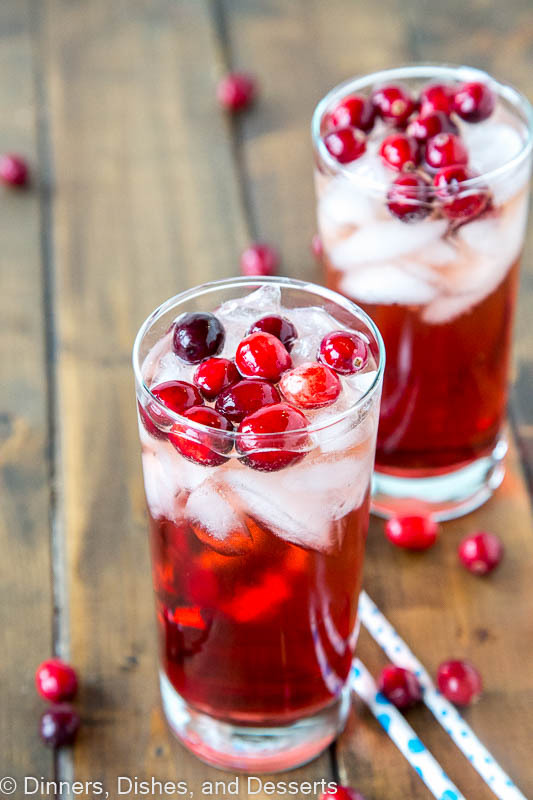 The holidays mean that fun cocktails are in order. Whether to serve at your Christmas party, or just to make it through all of that family time. No judgement here! 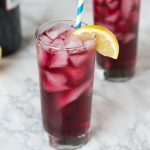 A classic Red Wine Spritzer is always an easy thing to serve at a party. I love it, because it makes a bottle of wine go just a little bit further too. 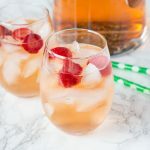 A White Wine Spritzer is pretty and festive this time of year too. I have made quite a few holiday cocktails in the past. 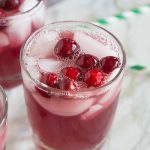 You can find most of them here in this Holiday Cocktails Recipe round up. So many fun ideas that you can serve at all your parties. 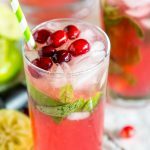 You will want to try this Cranberry Mojito recipe as well if you are looking for something new for the Christmas. I mean my friends nicknamed it Mistletoe Mojito, so you know it is fit for the holidays. This is 1/3 white wine, 1/3 cranberry juice. and 1/3 ginger ale. You can use any red wine you like for this one. 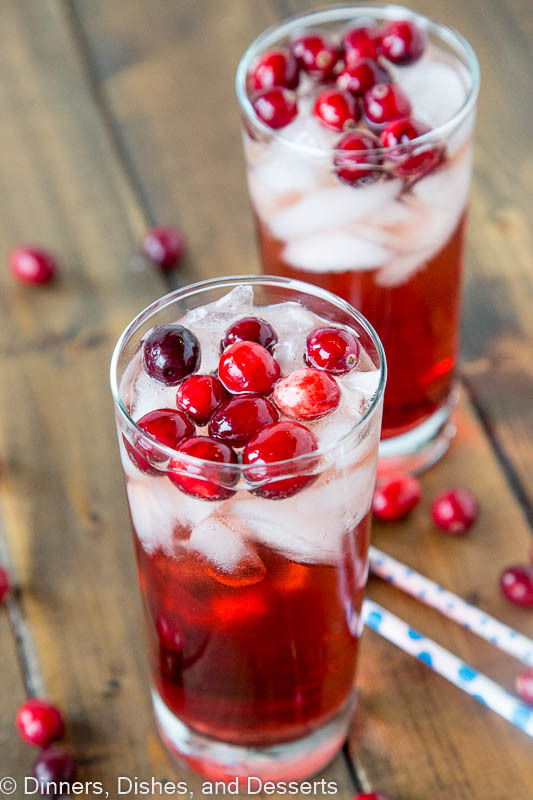 Then top it off with plenty of fresh cranberries to make it extra pretty and festive! I used Chardonnay to make this, but most white wines will work great. 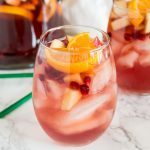 So this holiday season when you are figuring out what to serve for your party, mix up this holiday wine spitzer. Everyone will love it. 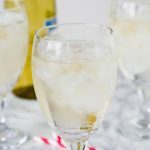 Holiday Wine Spritzer Recipe - a fun cocktail that you can serve at all your holiday get togethers! 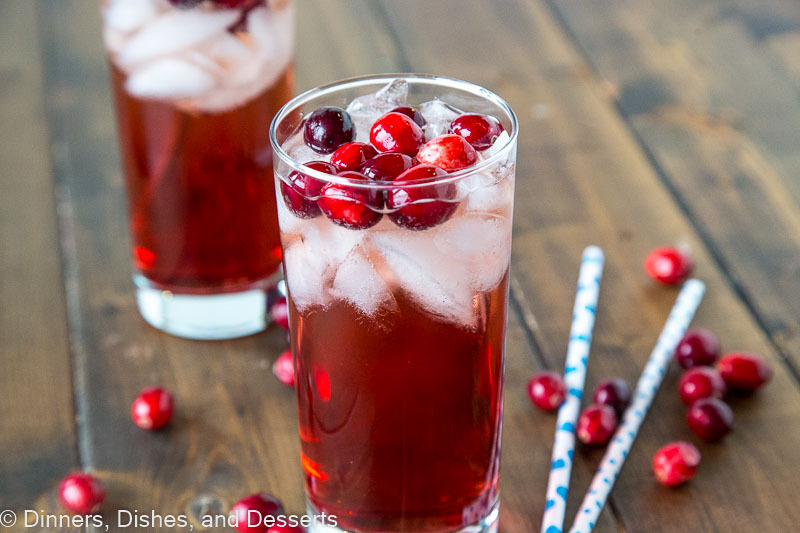 Wine, ginger ale, cranberry juice and cranberries make it festive and delicious! In a large pitcher combine white wine and cranberry juice until well combined. 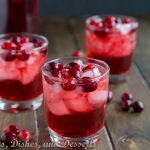 When ready to serve, top with ginger ale and cranberries. This is so fun and festive! I love having themed drinks at parties! 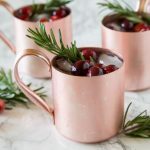 Yum, what a delicious holiday cocktail recipe! Looks great! 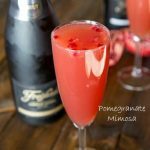 Such a perfect holiday drink! Oh these look so good! I’ll be making them next get together hands down!! Looks incredibly stunning! Those flavors together must make this simply irresistible! 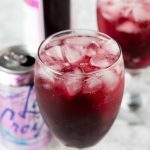 What a gorgeous drink! Perfect for the holidays! This is so pretty! Perfect for the holidays! i have everything to make these tonight at Sunday dinner! thanks! So fun and delicious. Great way to toast the holidays! Oh my goodness, I’ve been looking for the perfect dink for the holidays, and this is it! This looks so fun! 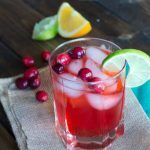 Love the added cranberries on top! This must be at all Holiday parties! It is so pretty!